Carbing it up this morning, Peanut Butter Protein Pancakes topped with banana yogurt, truwhip, blueberries, bananas, graham cracker crumbs, and honey drizzle. 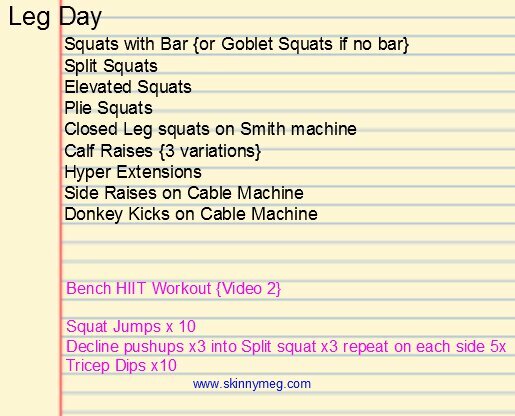 I shared some of my leg day workout on IG, but here is the longer version with notes for you to save to your phone. I also started out my morning with some cardio on the treadmill. Highly suggest some loud and upbeat music mixed with a little Spark. Those damn 'happy to be alive and sweating' endorphins were just jumping out of my body. Great start to my day! Headphones are Transit bluetooth over the ear, from JamAudio, LOVE and only $50 bucks. Last year to this year, I really want to focus more on my back and see how much I can develop it. I started doing triceps 2x a week and saw good progress! I need to research more back workouts, I'm a little burned out on the few I do on the regular. Do the headphones budge at all when you run or do movements where you lay down (bench, abs)? I've been looking into some but feel like over the head ones would drive me crazy. I love your workout! I wouldn't be able to walk after that leg day! Your lifting heavy weights!! WTG!! You look amazing! Also, I think you should share your amazing play list with your followers!! I LOVE LOVE your music choices! PLEASE!! I would if I knew a good way to share it! I'll look into it! OH PLEASE DO! THANKS SO MUCH! I just discovered your blog through Instagram and saw the video of you sprinting this morning. I used to be a runner in middle school but my life pretty much fell apart in high school and a lot of things changed for me including my habits. I've struggled with my weight my entire life and have never felt confident or pretty. A month ago I was out swimsuit shopping for a company party at a water park and it was incredibly depressing. I hated the way everything looked on me and ended up buying a pair of pajamas instead of a swimsuit. I weighed myself that night and came in at 248.8 which is the most I have ever weighed. I spent the next 2 hours crying. That was also my turning point. My mom and I went shopping the next day and got a plan together to eat healthier foods. I started taking lunch to work instead of eating fast food all the time. The first week I lost 5 lbs and I was really excited. Two weeks ago I enrolled at a new gym and started sessions with a personal trainer. It has been difficult for me because I am not a very active person, but every time I leave the gym after a workout I feel really good despite being exhausted and achy and my muscles feeling like jelly. I'm intimidated by what feels like a very long uphill battle with my weight but I'm ready to put in the effort to get to the top because I know in the end it will be worth it. 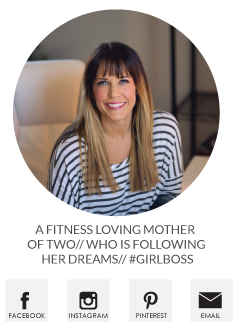 I just wanted to say that your story is very inspiring and it helps to know that I am not the only woman out there struggling with similar body issues. I will never be perfect but if I can look in the mirror one day and tell myself that I'm beautiful and actually believe it, then I'll be where I need to be. Thank you for sharing your story. A lot of us are just the same as you Holly :) You are not alone!! I wish you luck in your changes, and remember every little step will get you towards your goals. Don't count how many steps, there could be a 100 or 1000...no matter! Just know that you gotta keep making strides and keep patting yourself on the back and saying "yea, I did that" and "yea, I can do this!". Good luck my friend!! Have you shared your protein pancake recipe? I searched but didn't see one. My trainer has me doing lots of pull-ups too... And rows! I love the added graham cracker to your pancakes. I need to try that out some time. How to not Starve while Dieting. Ollie Marie - One Month Later. What I ate on vacation. Summer Vacation 2015. We survived.